CBA CEO, Matt Comyn, made the comments as the ASX-listed banking group announced full-year financial results to 30 June 2018. CBA reported a 4 per cent drop in statutory net profit after tax of $9.37 billion, off the back of an operating income of $25.9 billion, up 2.6 per cent year-on-year. Cash NPAT was also down 4 per cent on continuing operations to $9.23 billion. Other notable financial results included a 9.2 per cent rise in operating expenses to $11.6 billion, largely thanks to an Austrac civil penalty of $700 million, and a 2.2 per cent dip in operating performance. CBA boasts of 16.1 million customers including 6.5 million digital customers. Commenting on the results, Comyn said the fundamentals of the business and balance sheet remain strong despite the challenges faced by the group this year. Highlights included solid volume margin management in home and business lending, ongoing growth in transaction accounts and deposits, and strong take-up on CBA’s technology offerings. But in describing his vision for a simpler, better bank, Comyn admitted CBA has had to admit to a number of significant failings this year, including letting customers down, poor operational risk and compliance capabilities, and being slow to fix its mistakes. As a result, the ASX-listed banking giant is striving to regain the trust and confidence of customers, regulators and the community through an emphasis on delivering better outcomes and a clearer, values-based direction for the group, he said. There’s a good reason why. A Royal Commission into Misconduct in the Banking, Superannuation and Financial Services Industry announced in November last year and commenced in April and May resulted in CBA admitting to breaches of the Corporations Act. These included charging clients – some of which were deceased – fees for services they did not receive. As a result, CBA has refunded $118.5 million to customers and could pay at least $25 million based on ASIC estimates. In May, CBA also admitted the bank put off writing to overcharged small business customers affected by a technical glitch with assessing overdrafts, to avoid further grilling at a parliamentary hearing. “To earn our customers’ trust, we have to deliver better outcomes. That’s why my leadership team is prioritising listening to customer complaints and fast-tracking the resolution of long-standing issues,” Comyn stated in his CEO’s message. Another big adjustment is a shift in customer measurement to Net Promoter Score (NPS) tracking. CBA said this will help it better understand overall customer sentiment and shift the focus from service and product, to eliminating customer pain points. The bank has set itself the goal of achieving the number one NPS for consumer and business customers. In its latest financial results, and noted a mobile banking app NPS of 37.8 and Internet banking NPS of 31.3 at the end of June 2018. Yet CBA’s consumer NPS was -2.7, and its business NPS was -19.6, both among the lowest scores recorded across Australian banks. “It’s also the reason that we’re focused on improving our customers’ financial well-being through the products and services we provide. 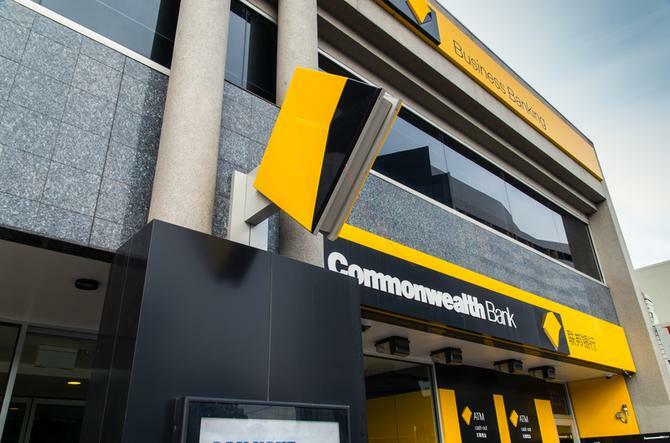 This includes investing in new CommBank app features that help customers save more, spend less and stay in control of their finances,” Comyn stated. Supporting this is an internal customer advocate function, established in 2016 and manned by 40 staff. More recently, the group has taken on managing systemic issues arising during complaints investigation, and this year launched the ‘Safe & Savvy’ program to help protect older people and families from financial abuse, scans and frauds. Recent steps taken by CBA against regulatory guidelines, meanwhile, include settling anti-money laundering proceedings with the Australian Transaction Reports and Analysis Centre (Austrac) in June, which includes the $700m penalty fee. This also requires an investigation into the bank’s financial crimes capabilities. In addition, CBA reached an agreement with ASIC in May to settle the Bank Bill Swap rate legal proceedings. This saw the bank acknowledge five attempts to engage in unconscionable conduct in breach of the ASIC Act and handover $25 million in penalties and payments. Thanks to the Royal Commission’s identification of the raft of flaws within financial advice provided by CBA’s wealth management and mortgage broking businesses, CBA is also spinning off these scandal-riddled divisions into a new entity, NewCo. This new entity will encompass Colonial First State, Colonial First State Global Asset Management, Count Financial, Financial Wisdom, Aussie Home Loans and minority shareholdings in CountPlus and Mortgage Choice. The APRA Prudential Inquiry into CBA has been another pivotal turning point for the bank, and Comyn said the subsequent Remedial Action Plan will see CBA accountable for improvements against 35 recommendations. These fit into five camps: More rigorous board and executive committee-level governance of non-financial risks; accountability reinforced by remuneration practices; a substantial upgrading of operational risk management and compliance; the injection of the ‘should we’ question into all dealings and decisions with customers; and a culture shift from reactive and complacent behaviour to empowered, challenging and striving values around risk identification and remediation. Reputation is another major focal area. Comyn said CBA is looking to track and disclose its reputation score relative to some of the largest ASX-listed companies in order to better understand its position with customers. CBA’s reputation score against peer companies based on the RepTrak Reputation survey by Reputation Institute has it pegged at 53, 10 percentage points under the average and a decline of 6.4 percentage points in the last three years. Alongside these changes, Comyn said his priority has been to better articulate a “simple purpose for the organisation” around improving the financial wellbeing of customers and communities. To do this, CBA has updated its values in a bid to drive the right actions and behaviours across employees. “The revised values are simple and action-oriented: We do what is right; we are accountable; we are dedicated to service; we pursue excellence; and we get things done,” Comyn stated. Supporting this is investment into four specific capabilities: Operational risk and compliance; cost reduction; data and analytics; and innovation. As an example of how this is working in practice, CBA pointed to its customer engagement engine, which has been built up over the past three years, is now creating personalised experiences for customers and thanked 4.6 million customers for their loyalty in 2017. It also decides next-best conversations with customers 21 million times every weekday across digital channels, contact centres and branches, learning and optimising of interactions as it goes. Its chatbot, Ceba, meanwhile, has had 580,000 conversations with customers since launch about 282 banking tasks and can handle 10 chats per minute. “We will be investing in operational risk and compliance to strengthen our processes, systems and governance. We will build our data and analytics capabilities to deliver productivity for our business and better insights for our customers. And we will be reshaping and reducing our cost base so that we can continue to invest in innovation to meet the challenges of disruption and to deliver great experiences for our customers,” Comyn concluded.